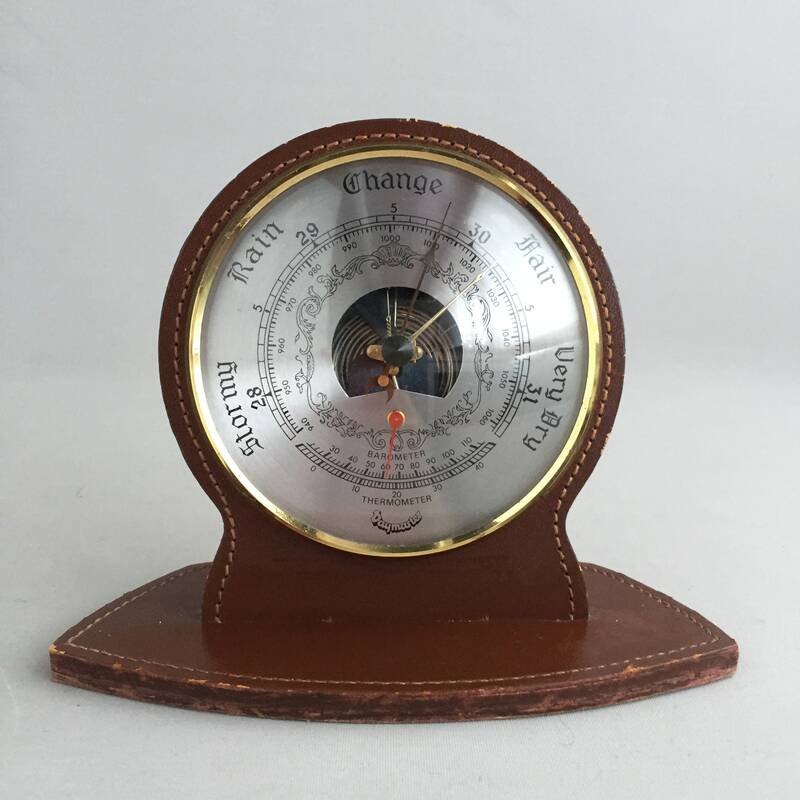 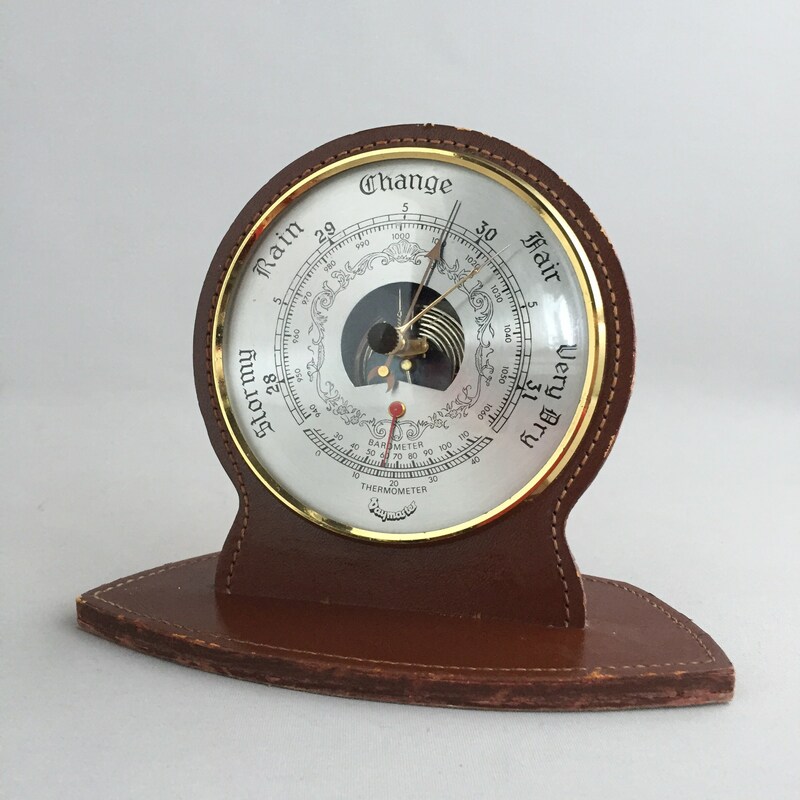 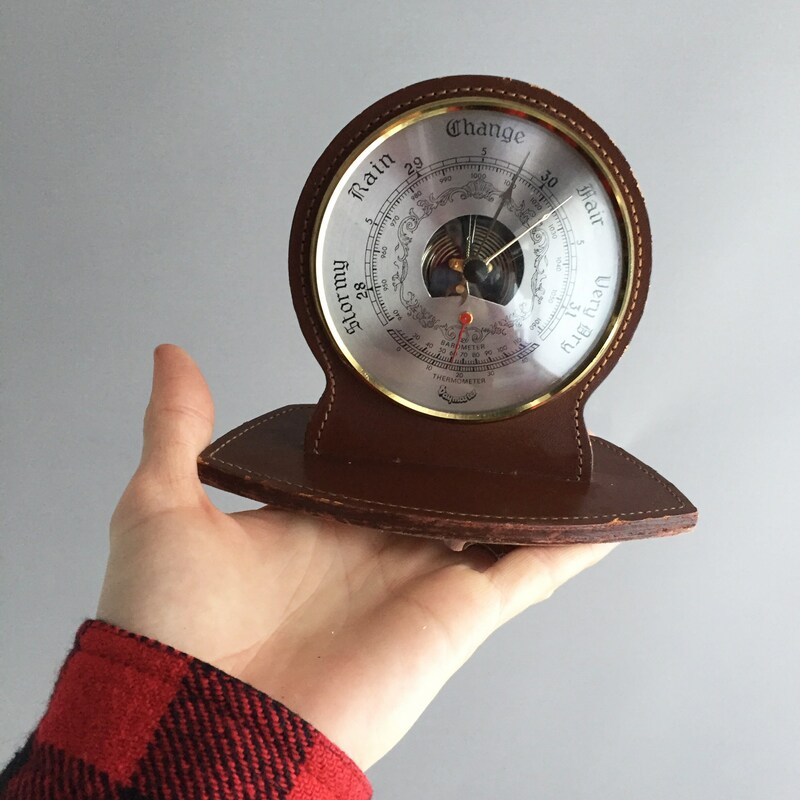 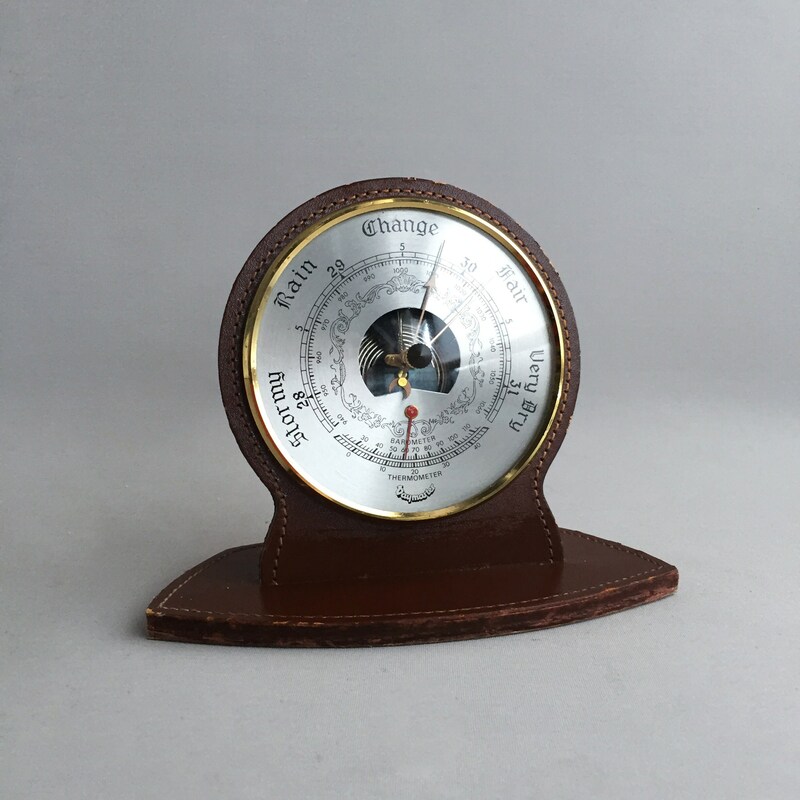 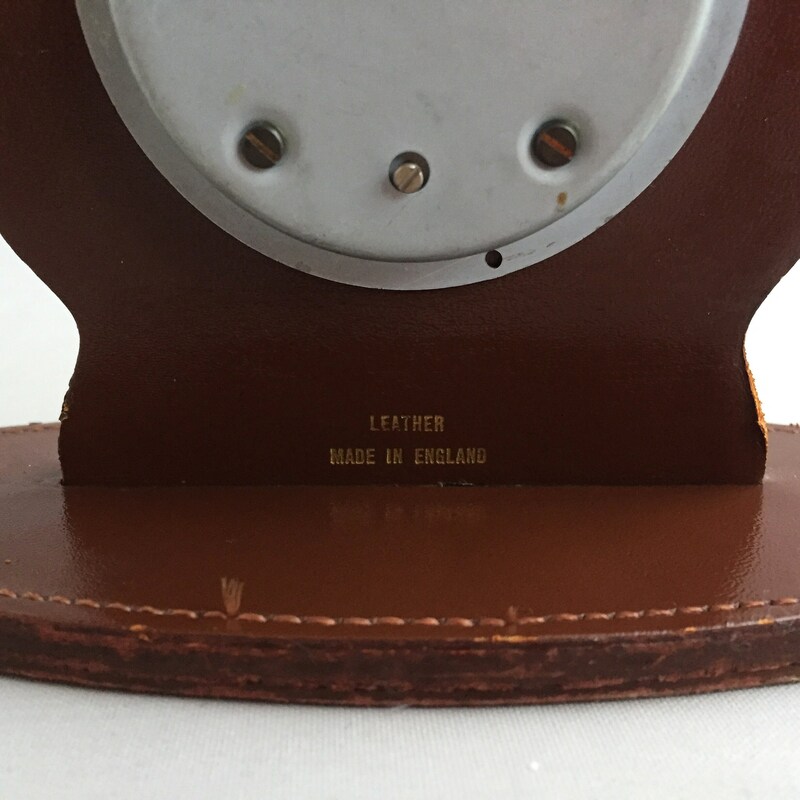 A 1950s Leather desk / mantel barometer to help you navigate the seasons. 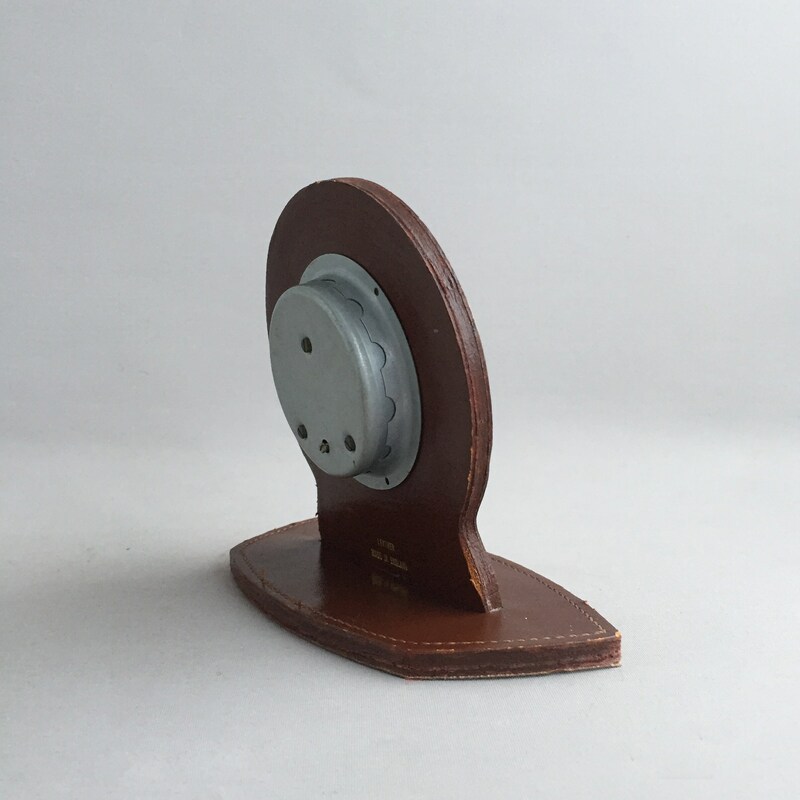 Measures 15.5 cm wide x 7.5 cm deep x 13.5 cm tall. 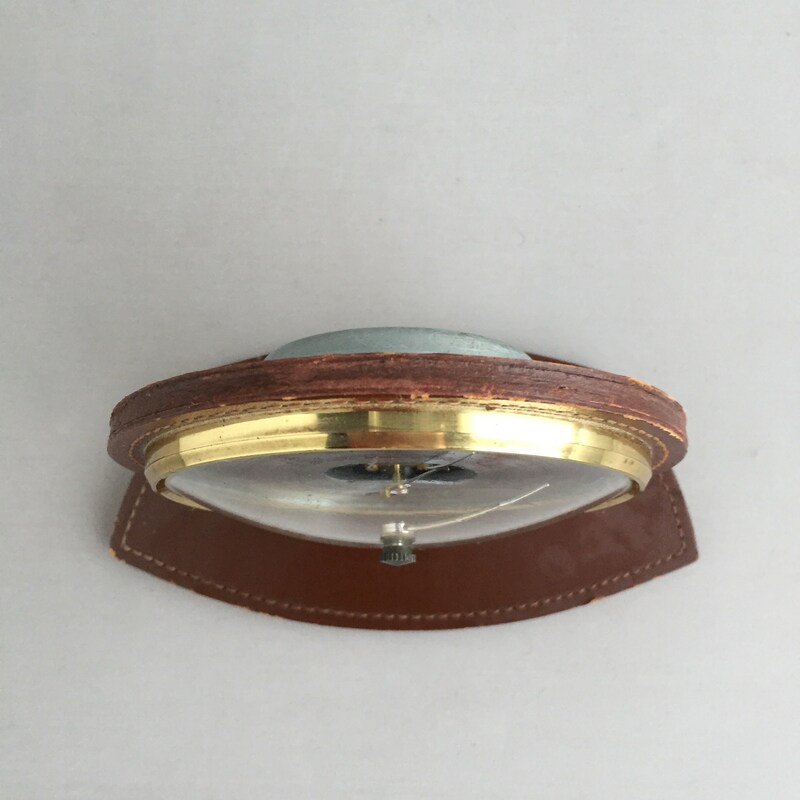 Featuring Domed glass face ( with a few minor scratches) and a brass frame.